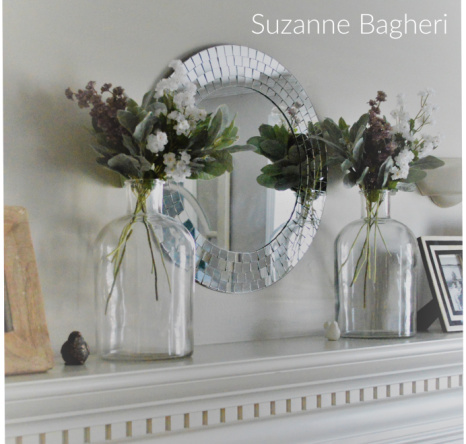 I love the show, Nate and Jeremiah by Design and while watching an episode, I noticed large clear glass jars with flowers on the mantel of one of their designs. I decided to mimic it and am sharing the outcome with you all! 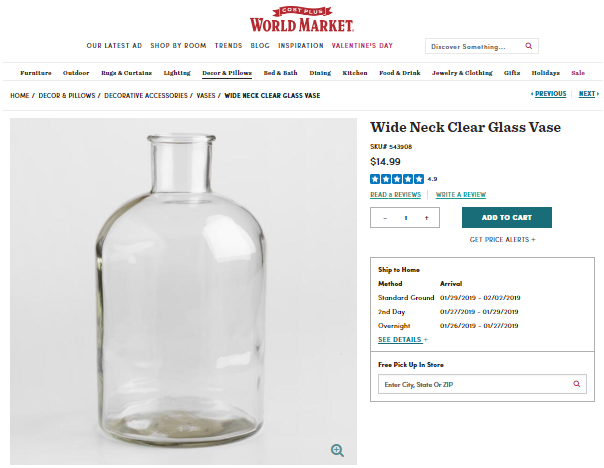 I first was on the lookout for the clear glass jars. I found them at my local World Market for only $14.99 each. Here is a link to their online site and the bottles (this is not a sponsored post). My next stop was to my local craft store, AC Moore. 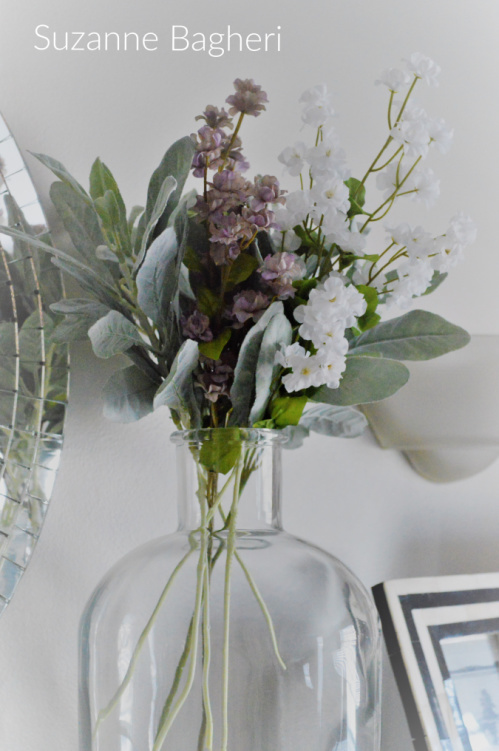 I do love real flowers and one day I may place those in the vases but for now, fake will do! And for only $1.58 each (with my coupon) these were really the way to go. 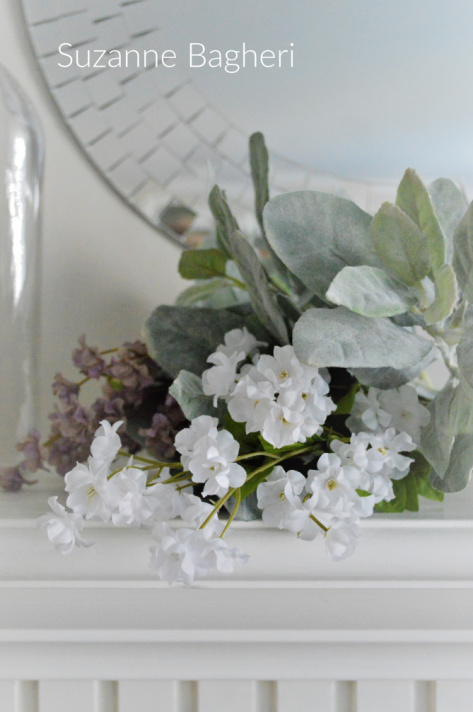 I selected ten sprays of the lambs ears and two sprigs each of white and pale lilac flowers. 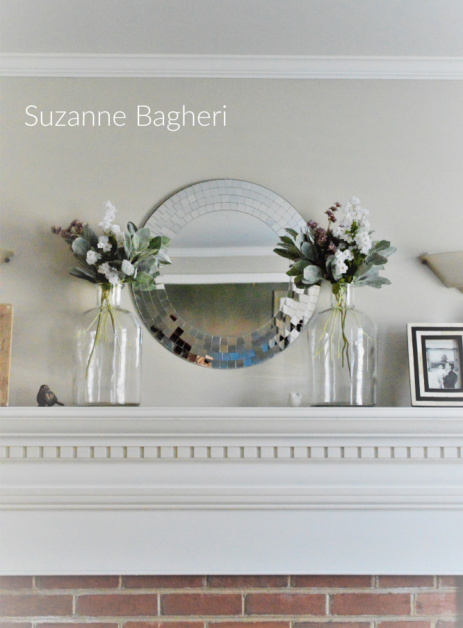 All in, with the cost of the glass jars and the flowers, each totaled $21. It looks so fresh and pretty. 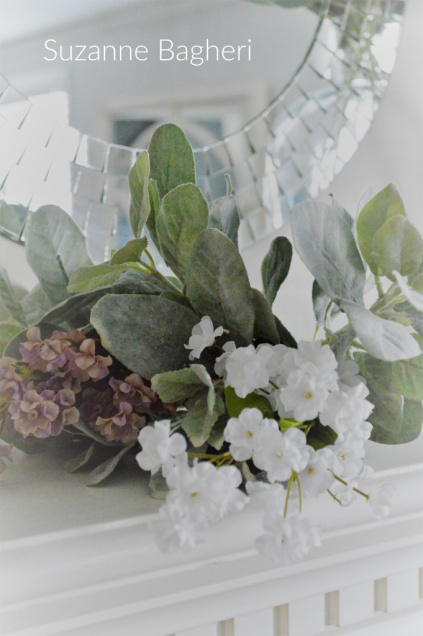 It’s beautiful and the flowers look incredibly realistic. 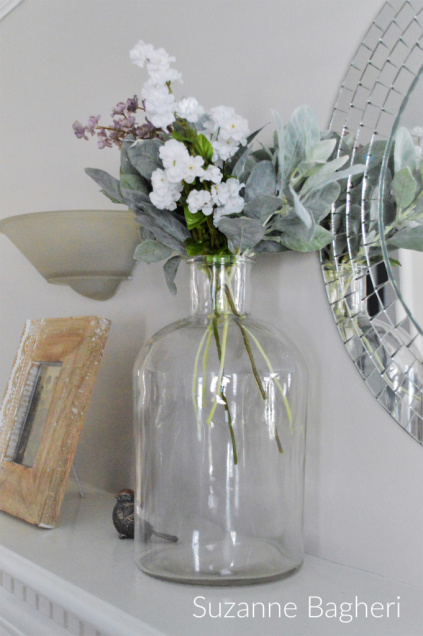 I learned a tip several years ago on how to make faux flowers seem more real – simply add water to the vase like you would with real flowers. 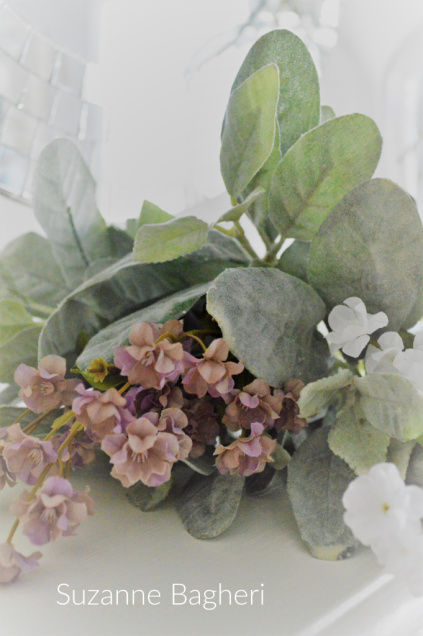 it’s worked great for me – people are always smelling my faux arrangements – and it doesn’t harm the fake flowers. Just a little tip in return for all the help you give your readers!